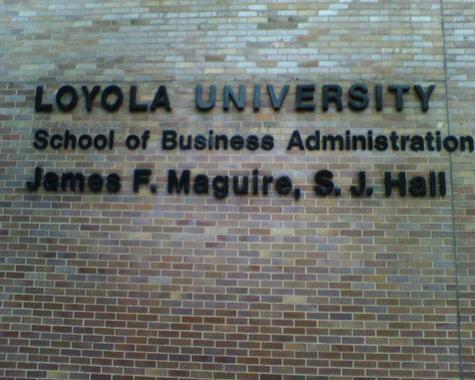 Digitas colleague Dave Marsey and I just wrapped up a joint presentation at Chicago’s Loyola University. It was great to get the invite and we had a blast presenting to an energetic group of well dressed grad students who gobbled up the information as quickly as we could spit it out. There were lots of excellent questions about how marketing is being impacted by empowered consumers and how social media is affecting our behavior. In short, we were pleased to be interacting with such a bright group of people. • When I asked if they had heard of Jeff Jarvis/Dell Hell, not one student raised their hand or had a clue who Jarvis is. It is to me. I can see not knowing about Agency.com/Subway, but to not have a clue about Jeff Jarvis or Dell Hell? I was really impressed by the professionalism of the students and especially their enthusiasm. Most seemed interested and asked great questions. I only have one to ask them back. Are you mentally getting outside of your School walls on a regular basis? I ask this question respectfully and sincerely. Students out there, hear me out. If you can come across as smart, professional, enthusiastic and optimistic—all these things will help you career wise. But also know what’s happening (in detail) both inside and outside of our industry, and have an opinion about them. We are witnessing seismic shifts in terms of how we define marketing, advertising, and PR. It’s not good enough to know that the shift is happening—you need to know about the everyday milestones which serve as telltale signs. If you’re a student reading this and you find yourself relating, I’ll give you the same advice I gave them. Go out and read Citizen Marketers for starters (we included a slide with the book on it). Basically, keep up with what’s going on in marketing-related spaces in addition to what’s on your curriculum. And to the school and organizers, thank you for having us, it was an honor!